With up to 8.0 Amp Hours of perfomance, the BeeMax™ battery from Bumblebee Batteries is the most powerful, most reliable, and longest lasting replacement hybrid battery available for your Toyota Camry Hybrid. Cell TypeAll New High-Performance NiMH? Cell CapacityUp to 8.0 Amp-hours? 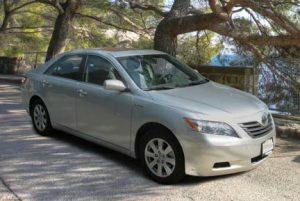 Give your Toyota Camry new life and better performance. You’ll love your hybrid again. The BeeMax™ replacement hybrid battery for the Toyota Camry Hybrid is more than a replacement hybrid battery – it’s an upgrade for your vehicle. Due to improvements in hybrid battery technology, you will immediately notice better power and acceleration, even on inclines. The BeeMax™ battery is built with strict quality standards, using only the highest grade cells available. Only the BeeMax™ is built using Bumblebee Batteries’ proprietary balancing and cell-matching technology. So you can trust that you are not only getting the best performing hybrid battery, but also the most dependable and longest lasting replacement hybrid battery you can buy. The BeeMax™ hybrid battery from Bumblebee Batteries not only directly replaces your current Toyota or Honda IMA hybrid battery, but significantly upgrades the performance of your hybrid vehicle. Our cells feature 25% more plate surface area, enabling higher capacity and power output than the factory-installed hybrid battery. 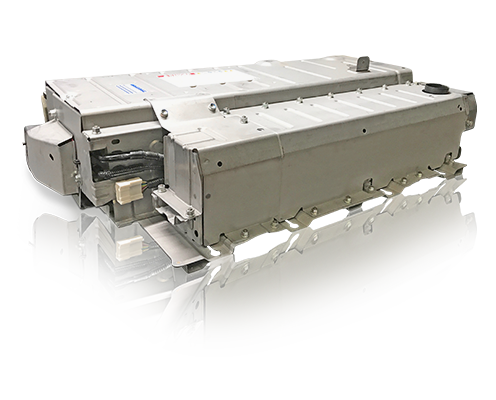 Thanks to advancements in manufacturing technology, our battery assembly is able to be wound tighter, fitting more plate material into the same industrial D-cell battery case. The positive and negative collectors have been redesigned to allow for approximately 50% more weld points between the plates and the collectors. The negative collector is welded to the battery case, rather than just pressure contact. These improvements allow the highest capacity and lowest internal resistance of any hybrid battery cell on the market! Manufactured and tested to exacting quality standards.Engineered for peace of mind. The IMA battery for hybrid vehicles requires from 28 to as many as 120 individual NiMH cells. If even one cell has an abberant discharge rate, it can reduce the performance of the entire battery pack. Unlike remanufactured battery packs in which only the bad cells are replaced, the BeeMax™ hybrid battery gives you all new high-performance cells to ensure the highest possible performance and longevity. The premium cells used in the BeeMax™ battery are manufactured for Bumblebee Batteries under ISO9002 quality standards using the latest NiMH manufacturing technology. Every cell is analyzed and balance-matched using our proprietary software and testing techniques to ensure they meet our precise performance specifications. Amp Hours are a measure of battery capacity. Tested against International Electrotechnical Commission standards (IEC 61951-2) using Bumblebee Batteries equipment; Standard 0.1C charge for 16 hours, Discharge to 20% State of Charge in car environment, 74ºF ambient. Internal Resistance measures an individual cell's resistance to electrical flow. Tested using Bumblebee Batteries equipment; Standard 0.1C charge for 16 hours to normalize; Measured at 75% state of charge using 120A of current. Life Expectancy is an estimation of a cell's practical lifetime, extrapolated from periodic sample measurements of test battery in 2000 Honda Insight. Tested using bumblebee Batteries equipment; 300 cycles at 4C charge and discharge rate.